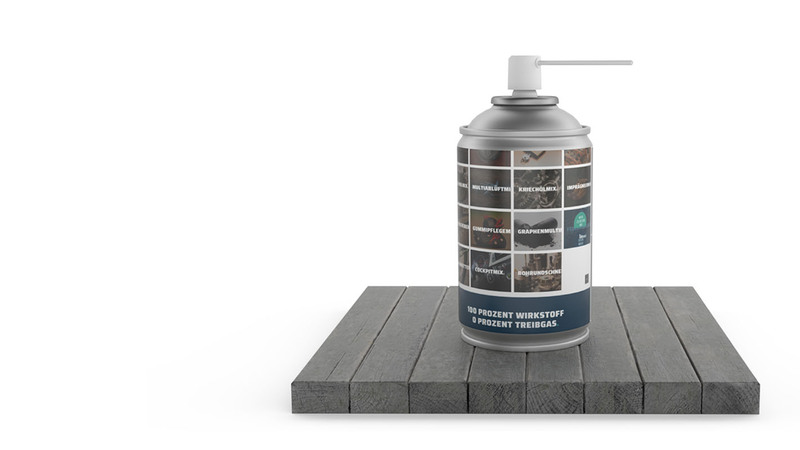 With Dosenmix we have created the first online configurator for technical sprays. We are addressing the end user, who is tired of searching through dozens of products in the DIY store or online in search of their desired application. 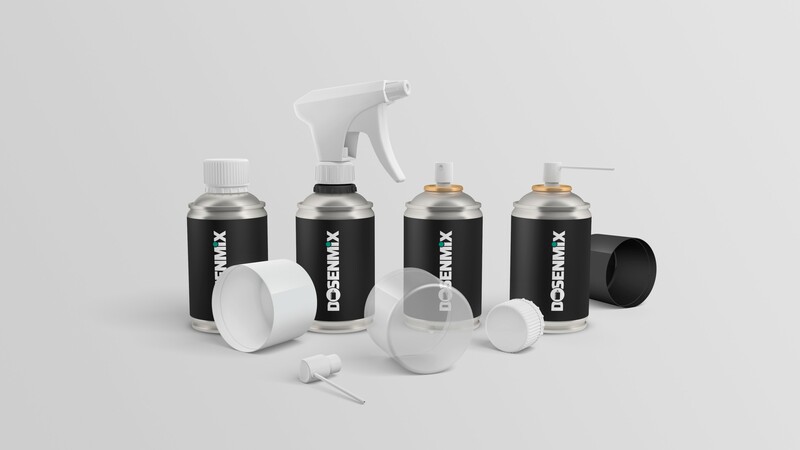 With Dosenmix it is possible to mix exactly the spray you need for your application from the current 14 base oils and 7 additives, starting from the quantity of 1. As if that were not enough, you can also design your label according to your own wishes. Either through one of the many templates or with your own pictures. 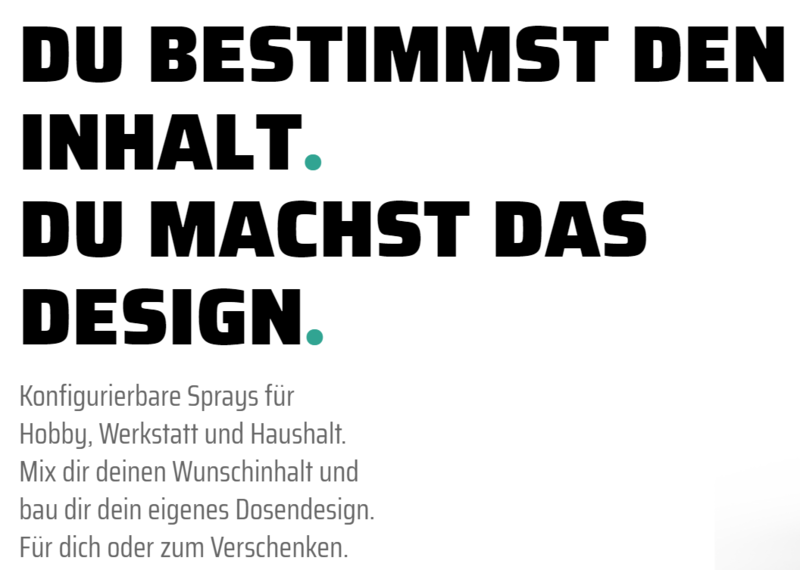 In order not to get confused when creating your spray, you are supported by different premixes. With these recipe suggestions one receives guaranteed an effective spray. If you wish you can refine them or add a scent to them. Currently you can choose from cherry, cola, sandalwood and mint. Further fragrances are in preparation. 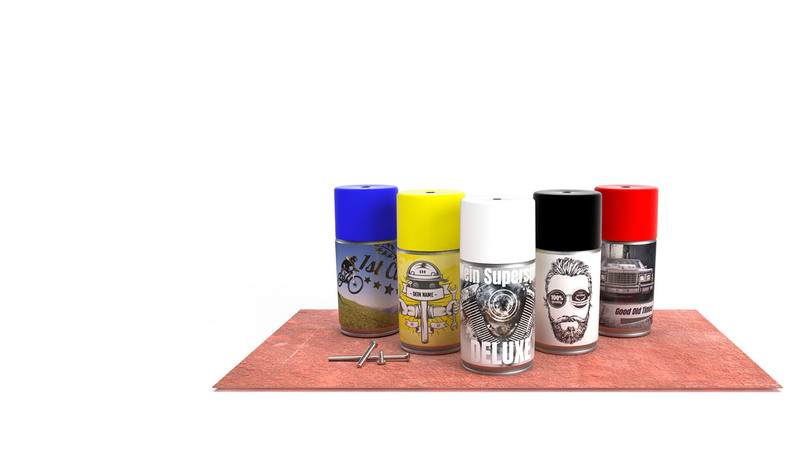 A selection of various spray heads, pouring variants and lids with different lid colors completes the whole. Choose the right label design for your can. Birthday, car, bike, hobby or profession. A template is already available for almost every case. The individual elements can also be swapped and placed elsewhere on the label. Own texts can also be used in different colors and fonts. 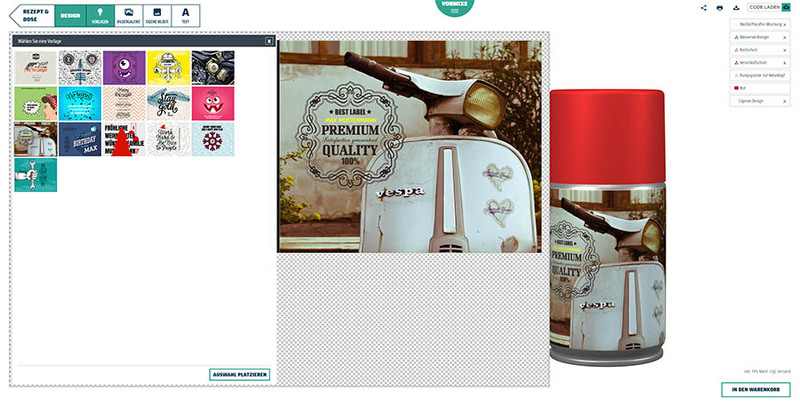 If there is nothing to suit your taste in the templates, you can also upload your own pictures and personalize your can even more. The perfect spray nozzle for every application. You can choose for your product from our different nozzles! Of course, we are constantly expanding our range and you always have the right spray nozzle for your product. Also available in different colors! With the premium products from KERONA® you are always on the safe side as a professional supplier.